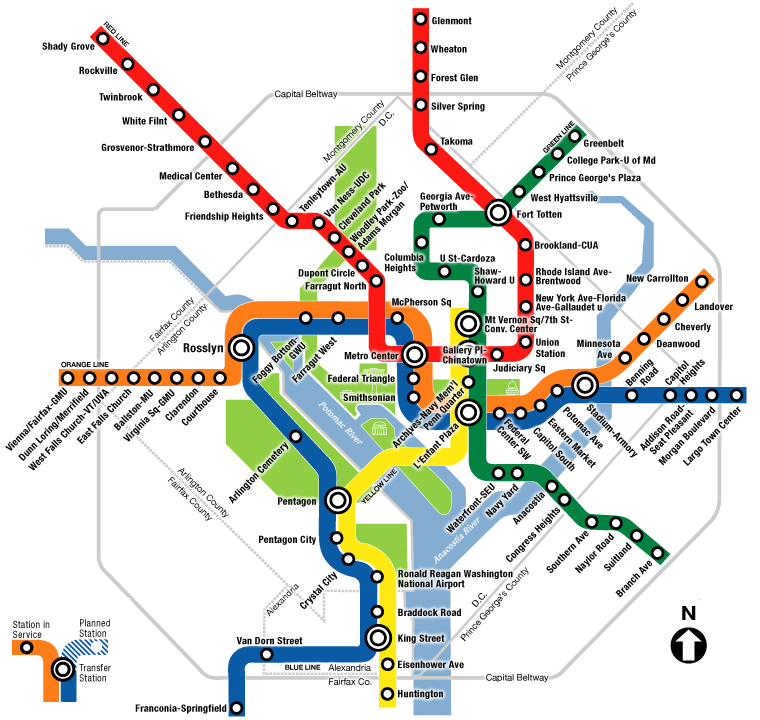 Big cities in North America: Washington D.C. I love D.C. Not just because my mom grew up in Alexandria, my grandmother worked for the CIA and my grandfather worked at the Pentagon. (Although, that’s pretty cool!) I love it because it’s simple to navigate, there’s lots to see (mostly for free because our taxes have technically already paid for us to see them) and good food to be eaten. There are perks to visiting at any time of the year, which makes this a great year-round weekend trip. In the Spring, it’s Cherry Blossom weather. In the Fall, it’s beautiful fall leaves weather. In the Winter, it’s snow-capped monuments amidst beautiful lights. In the Summer, it’s festivals lining the street and live music. Museums galore in this town! And not just museums for history buffs (although it’s a dream for us!) but lovers of art, architecture, politics, dinosaurs and airplanes will find a museum that tickles your fancy. My recommendation is to make a list of the museums and monuments that interest you the most, and see which metro stop is closest. Then, just walk around and enjoy. The main sites are located close to one another, and probably the blue line will be sufficient for cruising the sites. Like I said, something for everyone. They’re not all located next to one another, but some are centrally located near the National Mall. Take a look at what exhibitions and galleries are on display, and make a list of what interests you most! I doubt you can go wrong, but let me know if you do and I’ll offer my sincerest apologies. There are so many monuments, it’s worth just walking around and looking at all of them. They’re much bigger in person than you expect, and the plaques are well worth reading. The last time I was there, I was particularly moved by one of the quotes from Abraham Lincoln in the Lincoln Memorial. It’s easy to just wander and glance and not really pay any attention but they’re very thought-provoking. We’ve actually stayed in Baltimore and made day trips to D.C., which worked out well considering Baltimore is a lot cheaper (albeit a little more dangerous) but we really enjoyed our time. “Oh say, can you see?” If you’re an American History buff, or if you have even a shred of country-pride, you’ll enjoy going to Fort McHenry. This is the location where Francis Scott Key wrote “Defence of Fort M’Henry” during the War of 1812, which is the poem that was set to the tune Anacreon in Heaven, which is now our national anthem: The Star Spangled Banner. This is especially a great place to go if you’ve been to the Smithsonian, where the actual flag is on display. The location is right on the water, you can walk around and see canons, and the exhibits set up are great for seeing the life of a solider. After we visited this, we took the bus and asked our bus driver to recommend a stop and a place to eat. We wanted her to recommend somewhere that she would actually go or has been. She dropped us off in a real sketchy neighborhood and we walked around to an indoor market that had all sorts of street food-type vendors. We had some real good food, and got an honest look into the life of those who live in Baltimore. This is a cute town for walking around, and its also where the U.S. Naval Academy is, which has a great museum and a beautiful building. It’s right on the water, which make for some beautiful boat-watching moments. It’s hard to go wrong visiting D.C. So many things to do and see, and you can’t exhaust the city in one trip. If you’ve been, what’s your favorite part about the city?